Come enjoy a magical fun night with Eastshore families. Bring your picnic blankets & chairs! 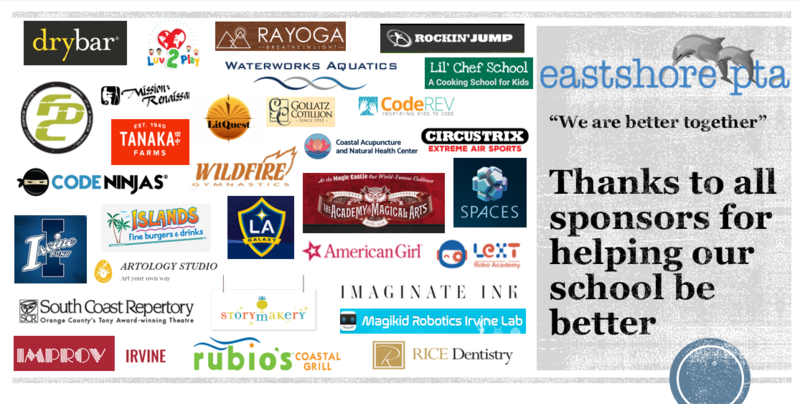 Support Eastshore PTA by purchasing food from the following food trucks who give a percentage of their sales back to us! Teacher and Staff Donations – Kids will love these!!! Business / Individual Donations – Parents & Kids will want these!! !